Available as an A6 postcard and a mini print. Please see order form. 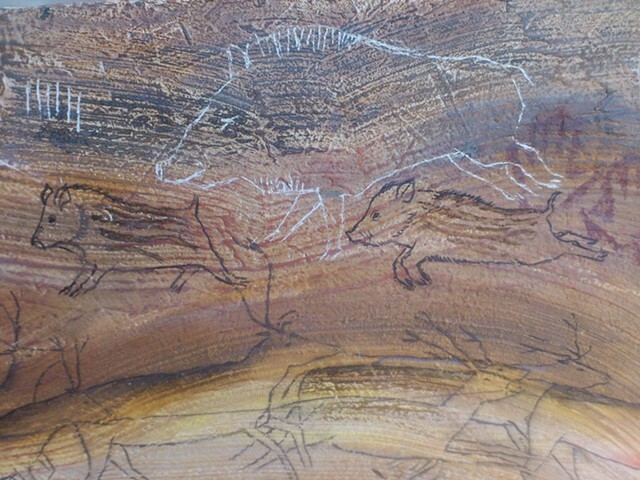 This is a detail of wild boar piglets running along the wall of a cave in the neolithic period. The full sized painting is a (large A1+) parody of a cave painting with Saint Nicholas riding through the wall of the cave.